In this article you will know about Allergy, Home Remedies of Sneezing and allergies, Hay Fever, Allergy, Pollen allergy, Food allergy etc. In my childhood I suffered from acute allergy. After visiting many doctors and hospitals I got no permanent cure. One day a renowned doctor told me that “Allergy Bhagwan Ki Marji means Allergy is God’s Wish”, there is no cure of allergy. You have to study, diagnose and cure it yourself by avoiding allergens and improving your immunity. So I studied everything about allergies and today I am living a healthy life due to some home remedies which today I am going to share with everyone so that some people at least get benefit from these remedies. Normally, our immune system fights against germs. It is our body's defence system. In most allergic reactions, however, it is responding to an alarm for foreign substance attack in our body. A substance that is an allergen for one person may not be for another, every individual immune system reacts differently. The risk of developing allergies is increased if other family members suffer from allergy or asthma. 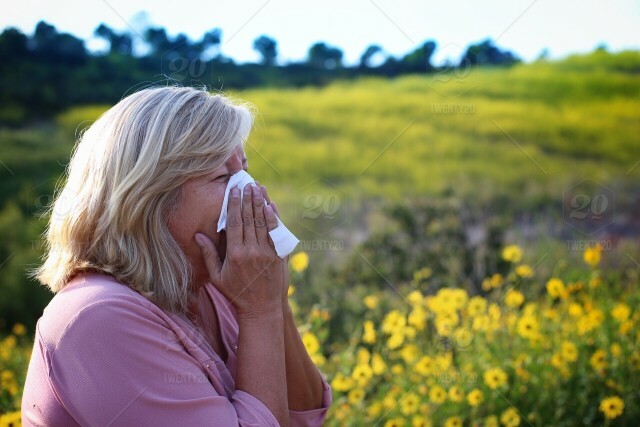 Allergies can cause a variety of symptoms such as a runny nose, itching, rashes, sneezing, swelling, or asthma. Allergies can range from minor to severe. Treatments include medicines, allergy shots, and avoiding the substances that cause the reactions. When allergens are breathed in, the release of histamine causes the lining of your nose to produce lots of mucus and to become swollen and inflamed. It causes our nose to run and itch and violent continuous sneezing may occur. Your eyes may also start to water and you may get a sore throat. Asthma attack can occur due to allergy. Foods which are most commonly associated with allergy include peanuts, seafood, dairy products and eggs. Cow's milk allergy in infants may occur and can cause eczema, asthma, colic and stomach upset. Some people cannot digest lactose (milk sugar). This intolerance to lactose also causes stomach upsets, but must not be confused with allergy. Avoid Allergy triggers- Keep in mind that even if you're treating your allergy symptoms, try to avoid triggers. If, for example, you're allergic to dust or pollen, stay inside with windows and doors closed when pollen or dust is high. If you're allergic to particular food than avoid that food in your diet. Note your symptoms- When trying to identify what causes or worsens your allergic symptoms, track your activities and what you eat, when symptoms occur and what seems to help. This may help you and your hospital/doctor identify triggers and treat them accordingly. Medications used to treat allergies include antihistamines which block histamine release from mast cells, reducing symptoms. Non-sedating antihistamine tablets rarely cause drowsiness and are available from pharmacies without a prescription. Antihistamine nasal and eye sprays can also be used. Cetrizine, Levo cetrizine are some medicines used to get relief from allergy. Homeopathic medicines which are helpful in allergy and sneezing includes Bio Combination 6, R49 drops, Arsenicum Album, Allium Cepa etc. It depends on person to person according to case history. Ocimum tenuiflorum (synonym Ocimum sanctum), commonly known as holy basil, tulasi (sometimes spelled thulasi) or tulsi, is an aromatic perennial plant in the family Lamiaceae. It is native to the Indian subcontinent and widespread as a cultivated plant throughout the Southeast Asian tropics. Take 5 drops of tulsi in warm water in morning empty stomach. This is miracle cure of all types of allergy. You can make it home or it is also available in market. To make it crush 10 to 15 leaves of tulsi with few drops of water, drink the drops obtained from it daily with warm water and allergy problem will decrease continuously. You can also mix honey in water. It’s thought that regularly eating honey helps you to build up an immunity against the pollen and allergens you’re exposed to that’s causing your allergy symptoms. Honey is a natural immune booster. Taking honey regularly is beneficial in allergy, sneezing, hay fever and cough. Take honey which is certified as good quality honey. Apple cider vinegar is an age old remedy that is often recommended for a variety of health conditions. The theory is that its ability to reduce mucous production and cleanse the lymphatic system makes it useful for allergies. It is also said to help digestion, weight loss . ACV is a very powerful gut healer and immune booster. It also helps to promote the growth of “friendly” bacteria (probiotics), which is another excellent home remedy for all types of allergies. Apple cider vinegar is also rich in potassium and magnesium. A deficiency of both these minerals has been linked to seasonal allergies and even asthma. In addition to this, ACV helps to soothe the lungs and bronchial walls. So consume a spoon of ACV with a cup of water daily to get real benefits. Vitamin E is very beneficial in allergy and asthma. It also helps in allergy due to pollution. Take it 15 to 20mg daily in diet. It is found in Almonds, Spinach, Sweet Potato, Avocado, Sunflower seeds etc. Vitamin C is a natural antihistamine, antioxidant and antitoxin. Increase vitamin C intake, along with raw honey intake, and it works well or better than the Allegra with no side effects. It can be taken as Amla known as Indian Gooseberry which is richest source of vitamin C, Lemon, orange and grapes etc. Ginger is very much beneficial in allergies and asthma attacks. Whenever there is an allergy, cough or asthma attack, mix few drops of ginger in warm water and mix a table spoon of honey in this mixture add a pinch of black pepper powder and drink it sip by sip. You will find a great relief from allergy, cough or asthma attack. This is tried and trusted method. Turmeric is a natural medicine available in your home to treat allergy, cough and asthma. Take 5gm of turmeric powder with warm water and it will give you relief in allergies and cough attack. Turmeric is a natural anti biotic which does not have any side effects. Taking green tea regularly boosts your immune system to fight against allergens. Take honey instead of sugar for better results. It will also reduce your fat and belly as an extra benefit. Dry dates are considered to be a gold mine of vitamins. They contain a wide range of vitamins including Vitamin A, C, E, K, B2, B6, niacin and thiamin. These vitamins are vital for our health and wellness. Therefore, consuming dry dates is beneficial for improving our overall health. Dry dates are beneficial for lungs and chest so helps to fight allergens. So by implementing above home remedies you will get tremendous benefits from allergy, Pollen Allergy, food allergy and any type of allergies. My daughter has allergy problem since birth. But after using these home remedies her allergies are decreased more than 50% in few weeks. Thanks and please suggest some good homeopathic medicines for allergy.